* Produces a range of iridescent or metallic colors when mixed into acrylic colors. 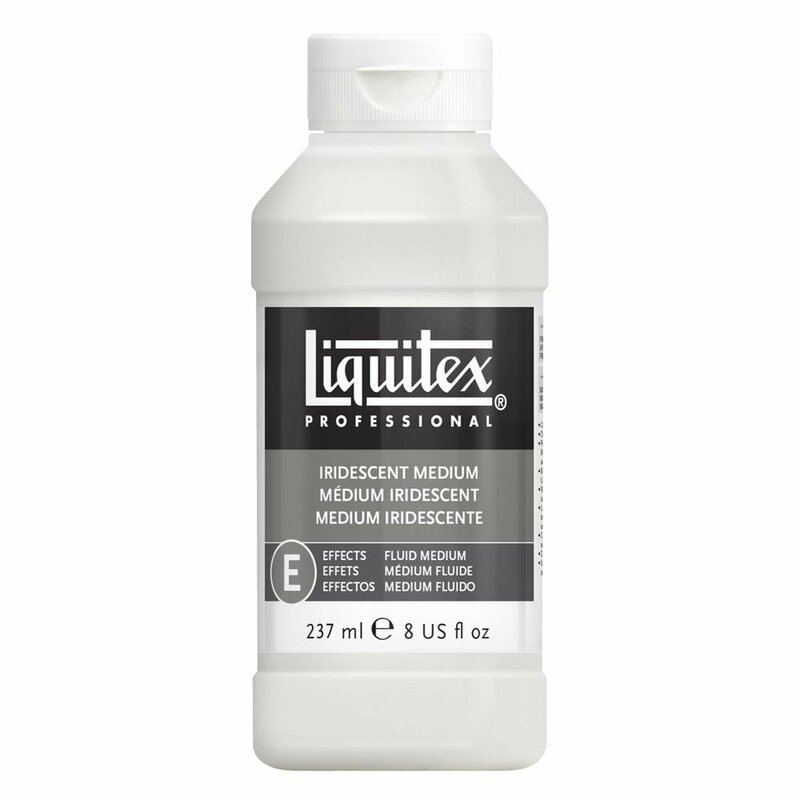 * Opaque when wet, transparent - translucent when dry. * Mix with small amounts of color, gradually adding more color until desired iridescent quality and transparency is achieved. * Transparent and translucent colors work best. Opaque colors can also be used. * Color will become more transparent as percentage of medium increases. * Colors increase in their iridescent quality and become much more reflective upon drying. * For Mother of Pearl color, use directly from container.